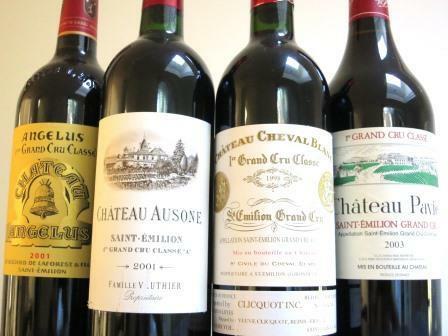 When the classification of St. Emilion was initially created in 1955, only two chateaux earned the coveted Premier Grand Cru Classe A status, Chateau Cheval Blanc and Chateau Ausone. For many Bordeaux wine lovers, that was how it was, and how it was going to stay… forever. Few people anticipated other chateaux would also be classed with Premier Grand Cru Classe A status. That changed in 2012, when the Saint Emilion appellation completed their supposedly, once in a decade classification and Chateau Angelus and Chateau Pavie were both reclassified as Premier Grand Cru Classe A.
Chateaux with Premier Grand Cru Classe A status are considered in the same league as the First Growths in the Medoc, who were classified in 1855. Because of the extraordinary high level of esteem awarded to First Growths, it’s easy to see why this is such a big deal. If the selling price for the wines were the sole determining factor, I could see their point as Cheval Blanc and Ausone sold for close to 300% more money in many vintages, on release and in the secondary marketplace as well. But unlike what took place with the 1855 Classification, there were other elements in the equation. To apply and achieve Premier Grand Cru Classe A status in the 2012 Saint Emilion classification, the Chateaux were judged on a multitude of criteria including price, reputation in the marketplace, terroir and their wine. Chateaux were judged on a 20 Pt scale. For First Growth status, meaning Premier Grand Cru Classe A, the chateaux had to score a minimum of 17 out of 20 points. The scoring was looked at on a category by category basis. The quality of the wines were 30% of the overall score. For chateaux hoping for Premier Grand Cru Classe A status, chateaux were obligated to provide samples from the 20 most recent vintages for tastings. The vineyards were also a factor weighing in at 30% of the score for their Terroir and soil of St. Emilion. An estate’s reputation was 35% of the score. Many things went into the estates reputation, including the selling price, the chateau and reception area. Chateau Angelus and Chateau Pavie both completely rebuilt their chateau from top to bottom. Chateau Pavie completed construction in 2013, Chateau Angelus finished their renovations in 2014. Both estates became showpieces for Saint Emilion. Last, and least, the estate and their practices were worth 5% of the score. The marketplace and Saint Emilion did not know what to make of the change taking place in the classification status at the top of pyramid for the new chateau elevated into Premier Grand Cru Classe A status. The change at that level of classification was instantly controversial. The new, showy, extroverted chateau and cellars of Chateau Pavie immediately caused controversy. Both Angelus and Pavie raised prices for their wine as soon as their level of classified status changed. This stunned the marketplace because the wines became instantly more expensive with the 2012 Bordeaux vintage. The reason the price increases surprised merchants and collectors alike was that 2012 Bordeaux is considered a moderate year, with some good wines, especially on the Right Bank. For that reason, there was light demand for most wines. Skipping ahead just 12 short months later, back vintages of Chateau Angelus and Chateau Pavie were now selling for new, record setting high prices! You cannot argue with the voice of the marketplace. It was not only consumers that were confused or unhappy with the new, changes in the 2012 St. Emilion classification. For decades, the First Growths of the 1855 Classification, along with Cheval Blanc, Ausone and Petrus met once a year to taste their wines. The group became known as the group of 9. Following the upgrade of Pavie and Angelus, the group of 9 refused to add the two, new First Growth estates, expanding the group to 11. In St. Emilion, traditionally, all the Premier Cru Classe St. Emilion chateaux arranged for a tasting of their wines for the press. When the new Classification was announced, that tasting was cancelled. The reasons given was, that Pavie and Angelus were not willing to include their wines in the tasting because Cheval Blanc and Ausone did not also include their wines. The remaining Premier Cru Classe B wines were thus not willing to show their wines as they did not want the market to think there were two levels of First Growths in St. Emilion. I understand that way of thinking. What I and others did not understand was the cancellation the Premier Cru Classe of St. Emilion dinner held during VinExpo. Perhaps, I should flesh out my comment. The event was cancelled because previously all the First Growth of St. Emilion participated or attended. Following the change in the Classification of 2012, some of the Premier Cru Classe A estates refused to participate, which in turn meant that all four of the Premier Cru Classe A chateaux would not participate or attend. In turn, the Premier Cru Classe B chateaux, either one by one, or mutually, also refused to participate as they did not want to give the impression of multiple levels of First Growth wines in Saint Emilion. History will look at this differently in time. When Chateau Mouton Rothschild was upgraded to First Growth status in 1973, there was an equal uproar. 40 years later, they are considered a First Growth in all manners. As they should! Regardless of where someone stands on the merits having four chateau at the level of Premier Grand Cru Classe A; Angelus and Pavie are two consistent and exciting Right Bank chateaux. Both estates have a 100% commitment to producing the best wines possible.